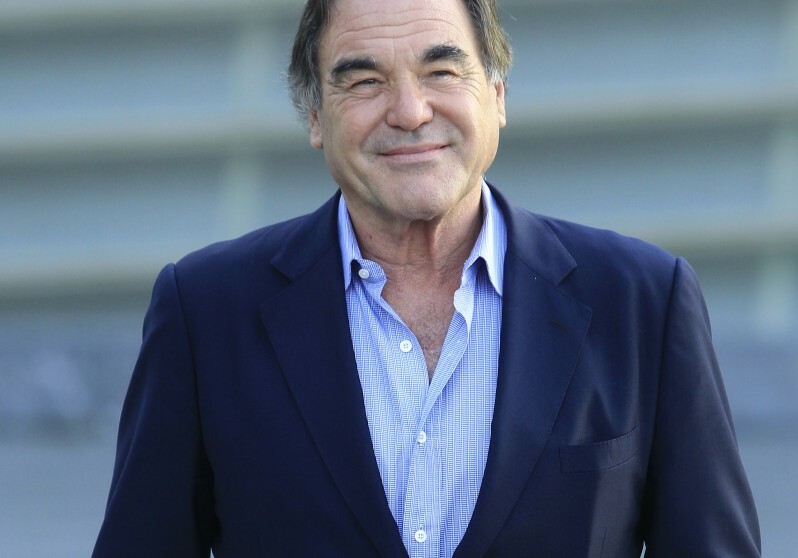 Academy Award winning Oliver Stone has written and directed over 20 full-length feature films, among them some of the most influential and iconic films of the last decades. Some have been at deep odds with conventional myth—films such as Platoon (1986), the first of three Vietnam films; JFK (1991); Natural Born Killers (1994); Nixon (1995); and World Trade Center (2006). Stone’s films have often reached wide, international audiences and have had significant cultural impact. These include Salvador (1985), deeply critical of the U.S. Government’s involvement in Central America; Wall Street (1987), a critique of America’s new capitalism; Born on the Fourth of July (1989), criticizing U.S. involvement in Vietnam (for which Stone won a third Academy Award); and The Doors (1991), about the 1960s and its music. His written screenplays, though not directed, gave him an early taste of the controversy of his ideas. An uproar greeted Midnight Express (1979) which only grew with Scarface (1983). He also wrote Year of the Dragon (1985) and Conan the Barbarian (1982). He has produced or co-produced a dozen films including The People vs. Larry Flynt (1996), Joy Luck Club (1993), and Reversal of Fortune (1990). His documentaries include three on Fidel Castro (“Comandante” (2003); “Looking for Fidel” (2004); and “Castro in Winter” (2012)); one on South America, “South of the Border” (2009), prominently featuring Hugo Chavez and six other Presidents in a continent undergoing huge social changes. He also made “Persona Non Grata” (2003) on Israel-Palestine relations. His latest work “The Untold History of the United States” (Showtime, 2012), 5 years in the making, is a monumental 10-hour interrogation of the conventional triumphalist narrative of U.S. History. Stone was born September 15, 1946 in New York City. He wrote a novel at 19—A Child Night’s Dream—about his youth, which was published in 1997 by St. Martin’s Press. He served in the U.S. Army Infantry in Vietnam in 1967-68, and was decorated with the Bronze Star for Valor. After returning from Vietnam, he completed his undergraduate studies at New York University Film School in 1971, where he made several short films. Stone is also the recipient of the Biennale’s Lifetime Achievement Award for employing art as a catalyst for learning and social dialogue. Oliver Stone's "Untold History of the United States"